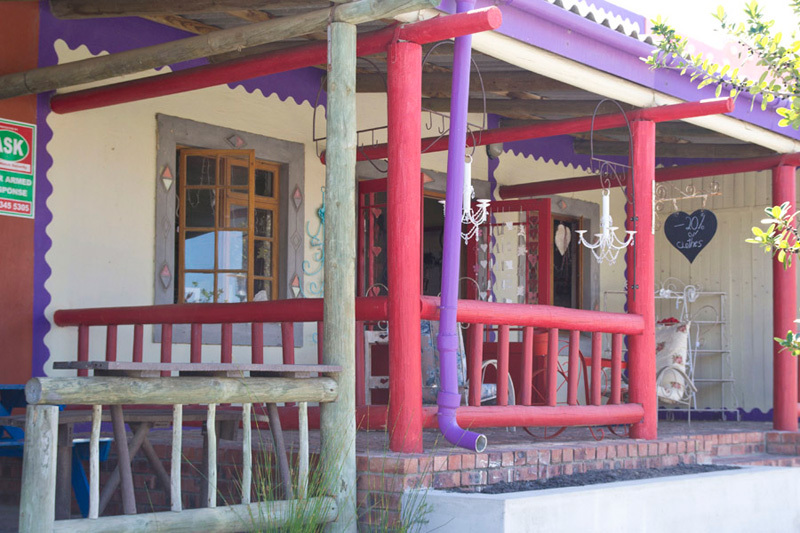 Hi, I’m Chris Docking from Perazim B&B in Kleinmond in the Cape Overberg. 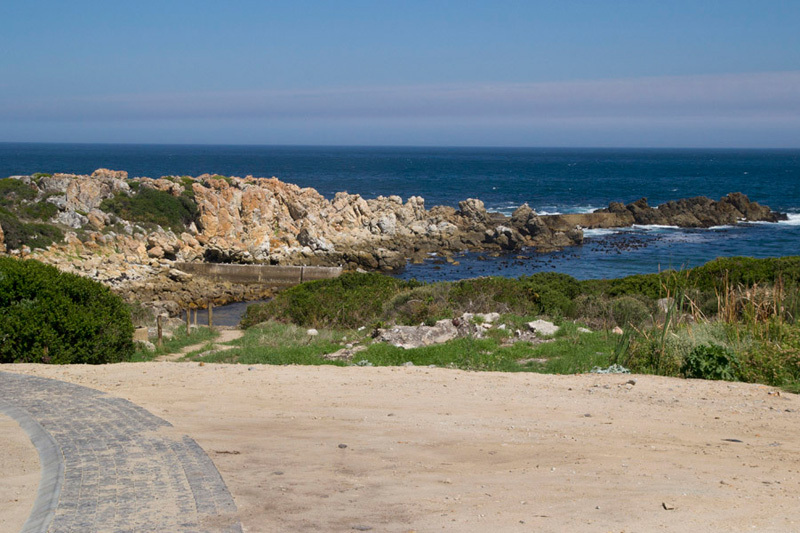 Kleinmond IS BEST KNOWN FOR the fynbos that abounds in the area. 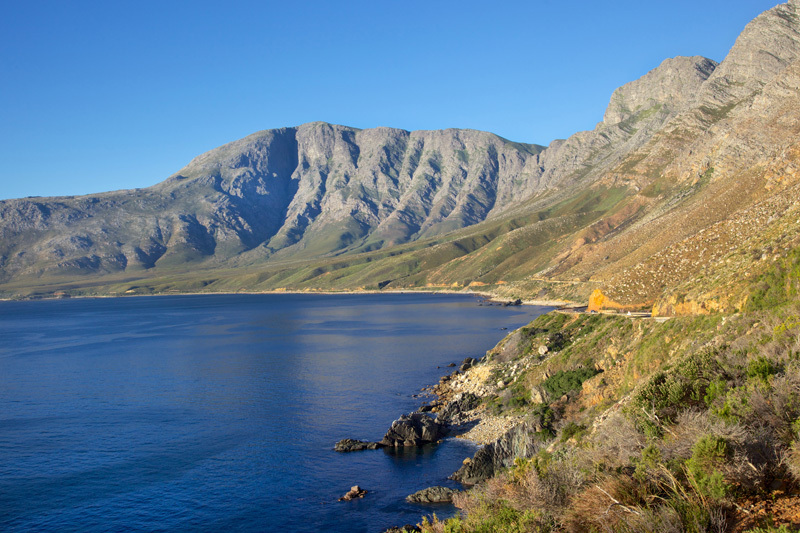 It could be named as the Fynbos Capital of the world as it lies in the UNESCO declared Kogelberg Biosphere Reserve. GET YOUR PICTURE TAKEN AT Sandown Bay with either the lagoon & mountains or the ocean in the background. THE BEST sunset PICTURES CAN BE TAKEN AT Harbour Road while enjoying a glass of wine & watching the last rays of the sun slip into the ocean along with the cares of the world. OTHER HAPPY SNAPS AT Palmiet lagoon…yes we do have 2 lagoons! WHEN THE WEATHER’S GOOD, I LIKE TO canoe on the Kleinmond lagoon or if it’s not too hot, hike up Jeans Hill amongst the fynbos. The bird life can be quite spectacular ranging from the fish eagle to the tiny orange breasted sunbird found only on the slopes of our mountains. WHEN THE WEATHER’S BAD, I LIKE TO walk along the board walk watching the waves crashing on the rocks or just browsing through the art gallery or the pottery shop in Harbour Road. I THINK THE BEST TIME OF YEAR TO VISIT IS January and December, BECAUSE each month & season is so different. The summer months are to be enjoyed outdoors on the water, hiking or playing golf either at Kleinmond or Arabella, spring is great to see the blooming of the Proteas. In March we have the Big Blues Festival, May is the African X Trail race & in August we have the Gravity Festival. Truly spoiled for choice. MY FAVOURITE BREAKFAST SPOT IS Sandown Blues overlooking both beach & lagoon stunning in the summer. FOR LUNCH, I SUGGEST Leons for their popular Sunday buffet. MY FAVOURITE RESTAURANT IS Europa, TRY THE steak or any fish dish. You wont be sorry. BEST LATE NIGHT SNACK FROM Gringos Waterfront. MY FAVOURITE evening SPOT IS Sandown Blues. Watching the last of the families on the beach while enjoying a cocktail or two! 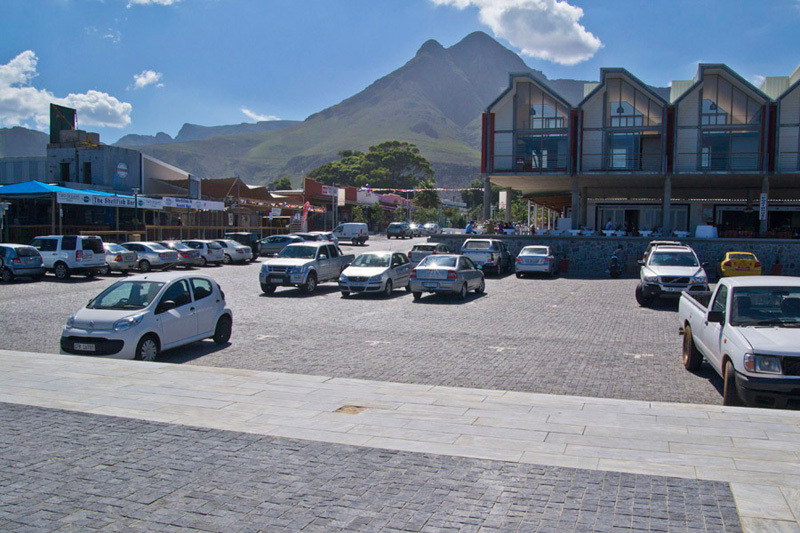 FOR A NIGHT OUT ON THE TOWN TRY Hermanus – it is only 35km away. 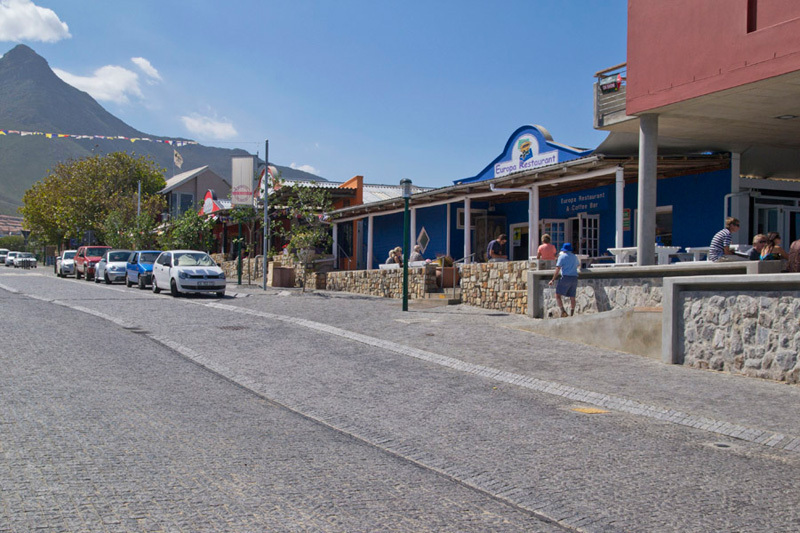 IF YOU WANT TO MEET LOCALS, GO TO either Alwyns Kuier Grot or Gringos Waterfront. Kleinmond’s BEST KEPT SECRET IS the feral horses that roam the Kleinmond lagoon. What makes this so interesting is that no one really knows their origin. They have become fairly tame when people approach. It is quite an experience to see them grazing with their heads in the water whilst canoeing. MY FAVOURITE THING TO DO WITH FRIENDS IS coffee & Mozart cake at Europa or Americano plus pecan nut & choc chip biscuit at Ciao Bella. FOR SOME LIVE MUSIC, I LIKE TO GO TO go to the Big Blues Festival in March or for the family go to the Christmas carols at Harold Porter Botanical Gardens. TO RELAX AND RESTORE MY SOUL, I LIKE TO go to Arabella for coffee whilst enjoying the view of the Bot lagoon or watch the people around the pool. 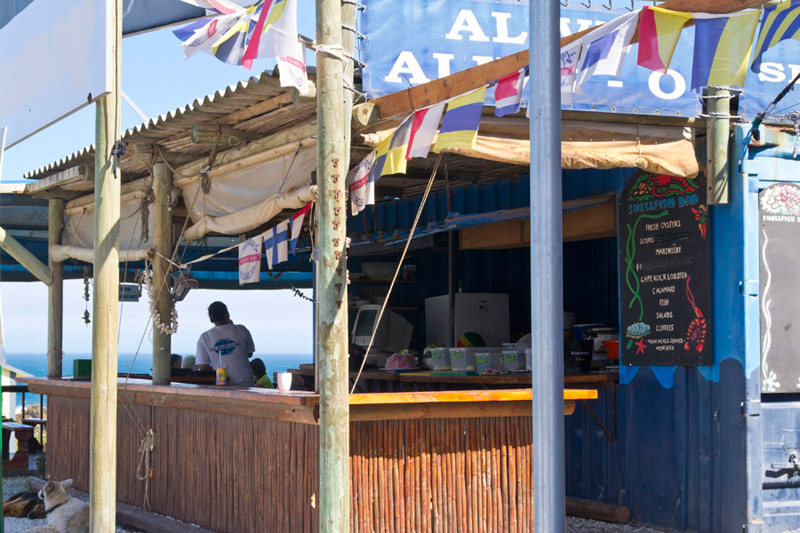 IF YOU’RE FEELING ADVENTUROUS, TRY try shark cage diving at Gansbaai. So far all our guest have come back in one piece. MY FAVOURITE DRIVE IS up to & above Jeans Hill where the vistas are ALWAYS breathtaking. MY FAVOURITE coffee SHOP IS Ciao Bella. It is a family run business where one is always made to feel welcome. MY FAVOURITE whale WATCHING SPOT IS just above Palmiet beach. MY FAVOURITE GALLERY IS Harbour Road Art Gallery. CHECK OUT THE local artist like Charls vd Merwe & Gavin Collins. TRAVELLING WITH CHILDREN? A FUN OUTING IS at Stony Point Penguin Colony & then on to Harold Porter Gardens. BEST CHEAP AND CHEERFUL OUTING IS Rooisand Bird hide just 7 kms from us. The wild horses are often seen there which is a bonus. WHEN MONEY’S NO OBJECT, I LIKE TO head off to Arabella & make a day of it. Come away feeling spoilt. THE MOST UNUSUAL THING I SEE HERE IS pair of fish eagles. MY FAVOURITE WEEKEND GETAWAY IS anywhere along the Garden Route. WHEN I WANT TO GIVE BACK TO THE COMMUNITY, I make donations where possible plus offer work. 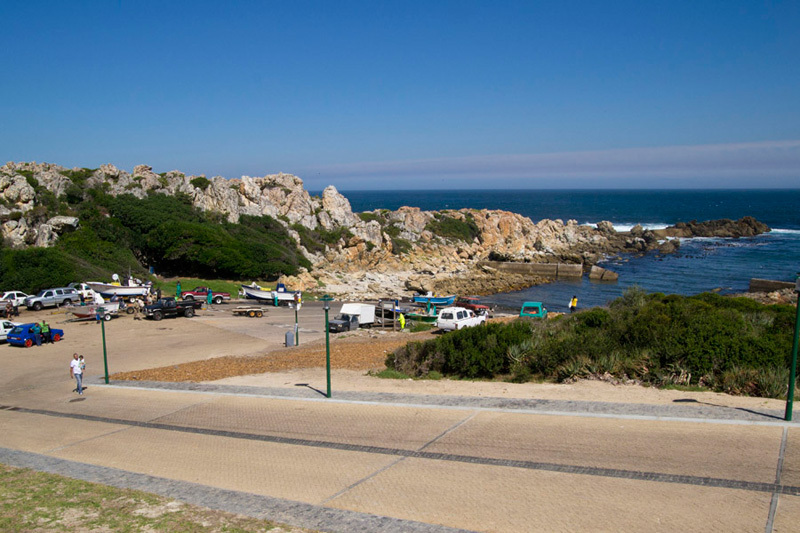 Kleinmond is busy undergoing major development down at Harbour Road. There are new businesses & apartments coming up plus facelifts to existing buildings. The road is going to be cobbled. Watch this space or better still come & see first hand what a beautiful part of the world we live in. You will be welcome! I Love Kleinmond Because we have both sea and mountain to enjoy. It is such a relaxing and friendly community. 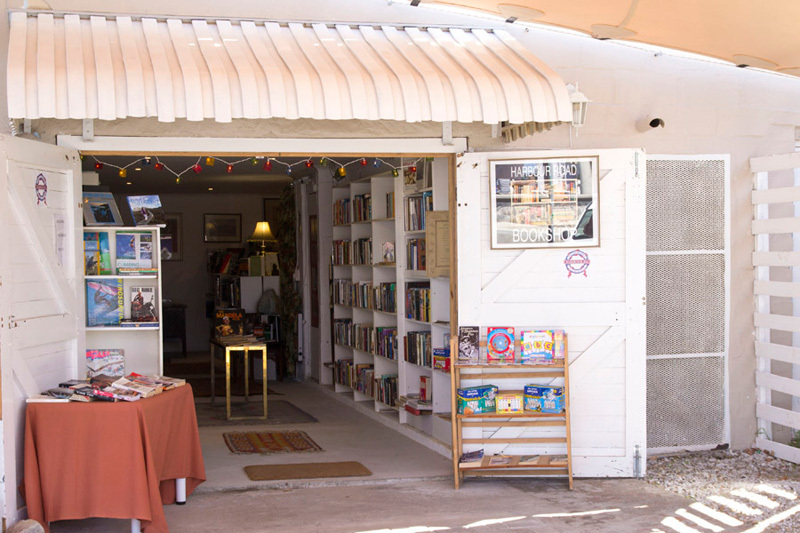 i love kleinmond because we’ve just bought a little cottage there and are planning to retire to our little home in the sea avenues – but NOT sit around doing nothing – in a few years’ time. we’re looking forward to becoming actively involved in the community then…. you seem like such a lovely bunch of people! johan and maggie toerien.